Talk about a fun Halloween treat that would be easy to make with the kiddos! These candy corn sugar cookie bars would be fun to serve in all sorts of sizes, fun for a party or just something special to do with you kids! 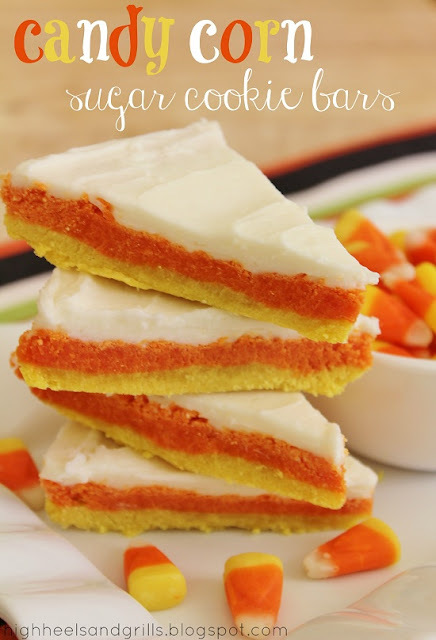 You can check out the recipe for these fun candy corn sugar cookie bars over at High Heels and Grills.